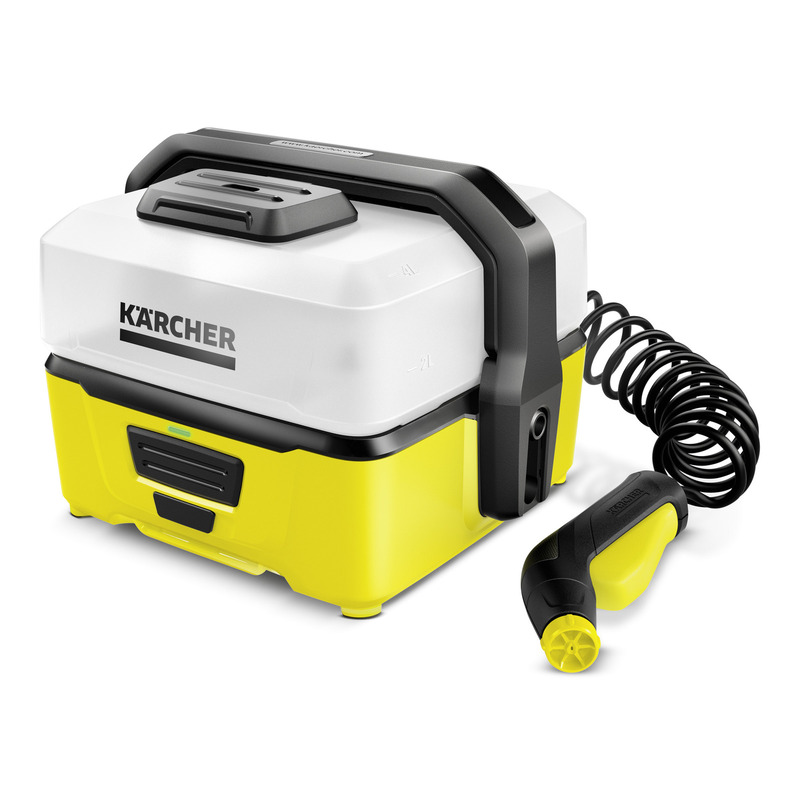 OC 3 *GB 16800050 https://www.kaercher.com/hk/home-garden/mobile-cleaning/oc-3-gb-16800050.html The Kärcher pressure washer with lithium-ion battery and water tank for mobile application. Easy to transport and store. With flat stream for delicate surfaces. 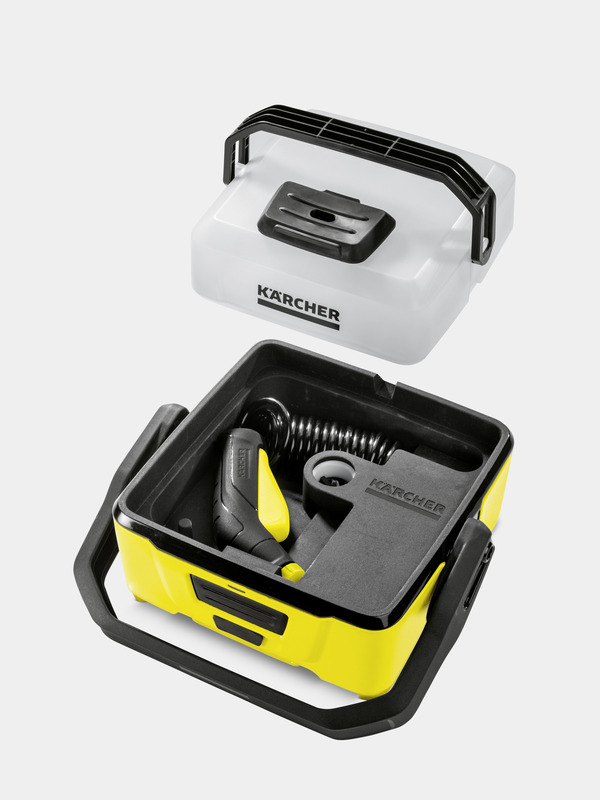 The Kärcher pressure washer with lithium-ion battery and water tank for mobile application. Easy to transport and store. With flat stream for delicate surfaces. 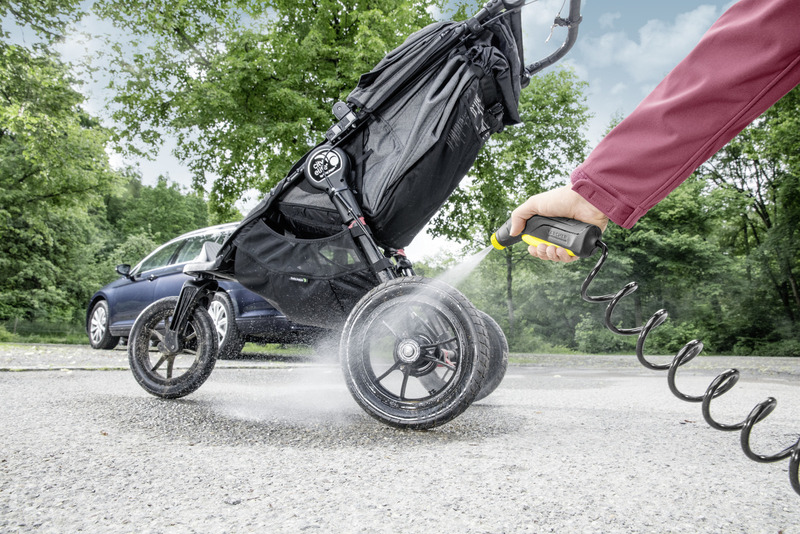 For anyone who needs a cleaning solution on the go: the compact and lightweight pressure washer from Kärcher. 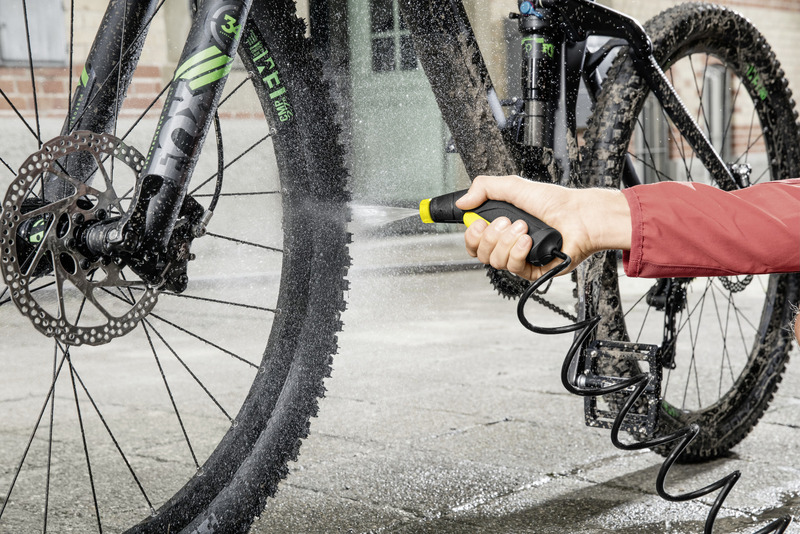 Thanks to the integrated lithium-ion battery and detachable water tank, you can, for example, clean your bike or dirty hiking boots even without an electrical or water supply connection. 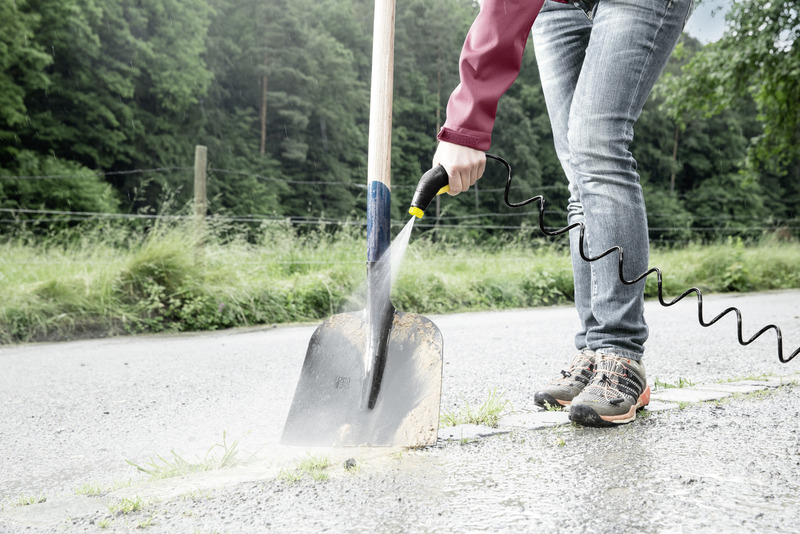 With a gentle but efficient low-pressure flat stream, the pressure washer is ideal for delicate surfaces. An LED display also signals when the battery is low or is being charged. 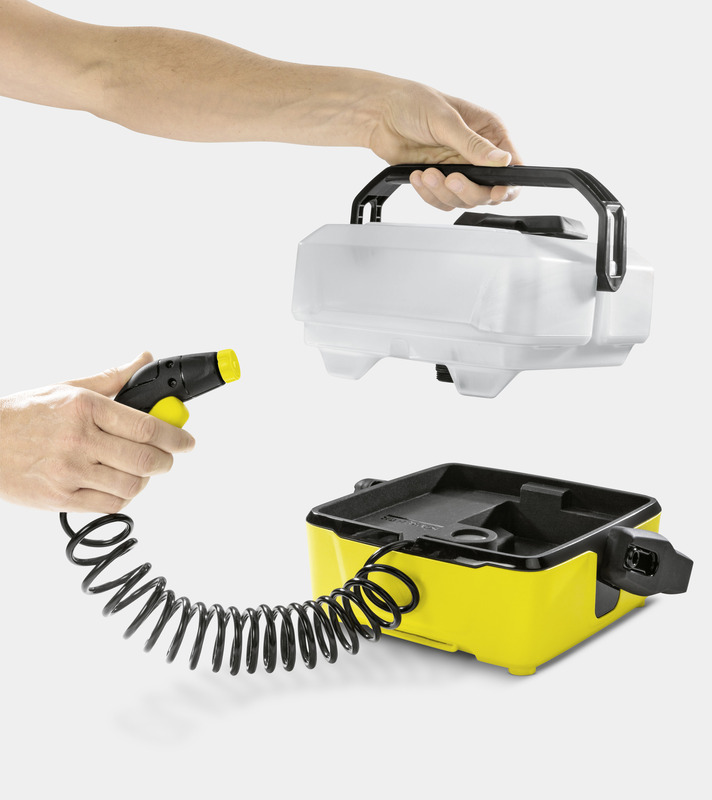 Various accessory boxes are available for a wide range of application and extension options. Convenient storage of the spiral hose and trigger gun under the removable water tank. Easy to transport, with space-saving storage. Mobile cleaning independent of a power source. Long battery runtime, meaning it can be used several times before it must be recharged. The LED warns you when the battery is low. Low pressure offers the advantage that cleaning is both efficient and extremely gentle at the same time. The standard nozzle with flat spray enables visible cleaning performance. The cone-spray nozzle is ideal for more sensitive cleaning of dog paws. Various applications can be expanded and perfected with additional accessories. An adventure box, bike box and pet box, as well as a practical storage box, are available and can be mounted on the device. All accessories are also available individually. Can be easily filled up in the house.